Edited by appleoddity, 13 June 2013 - 09:22 PM. The The cloudfront.net you are on in that screenshot is a domain used by Amazon Cloudfront which is an advertising company that is part of a network of sites, cookies, and other technologies used to track you, what you do and what you click on, as you go from site to site, surfing the Web. 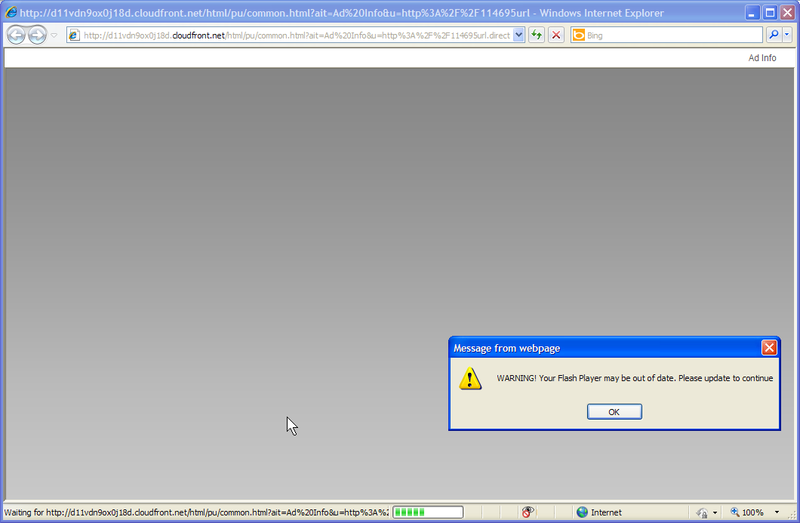 Go to the Adobe flashplayer site to see if your flashplayer does need updating. The free advice, opinions and sentiments expressed here are mine only, so you can safely assume I have no software or OS company patrons or any other benefactors when I post in this forum.